Both the Venice and Istanbul biennials have shown art’s increasing desire to engage with politics. Now so are numerous exhibitions across the Baltic region. Last week’s Pixelache festival of art and activism took over various spaces throughout Helsinki. At Stockholm’s Magasin III, ‘Like A Prayer’ (until 13 December) questions the importance of hope at times of crisis. Sørlandets Kunstmuseum in Norway is showing Mark Boulos’ All That Is Solid Melts into Air (until 15 November). And Fiona Tan explores emigration, globalisation and identity at the National Museum of Norway in Oslo (until 31 January 2016). One man for whom art and activism are inextricably linked is Ai Weiwei. Last week Ai was in Helsinki for the opening of the freshly revamped Helsinki Art Museum (HAM). His arrival – rolling deep with a sizeable entourage – rather dominated proceedings at the media view. His work, unfortunately, remains tricksy but underwhelming. 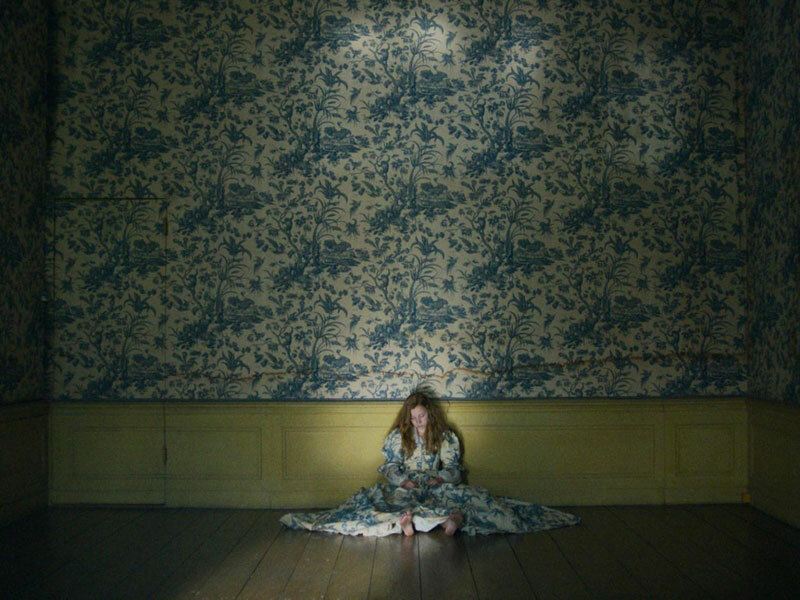 Elsewhere in the museum, two video installations by Finnish artists-of-the-moment IC-98 (whose Venice Biennale work I covered in May’s Diary) are simultaneously lush and beautiful and darkly unnerving. 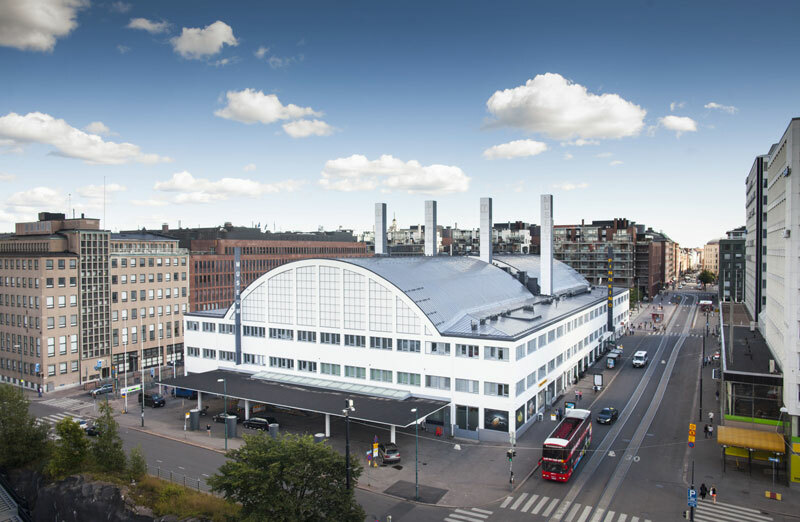 The permanent collection of Finnish modern and contemporary art has been well served by pastel-hued accent walls, while a street-facing project space offers a valuable resource in a city low on exhibition opportunities for emerging artists. The space opens with Vieno Motors, an art-florist by Ilona Valkonen that expands on work she showed at SINNE last year. 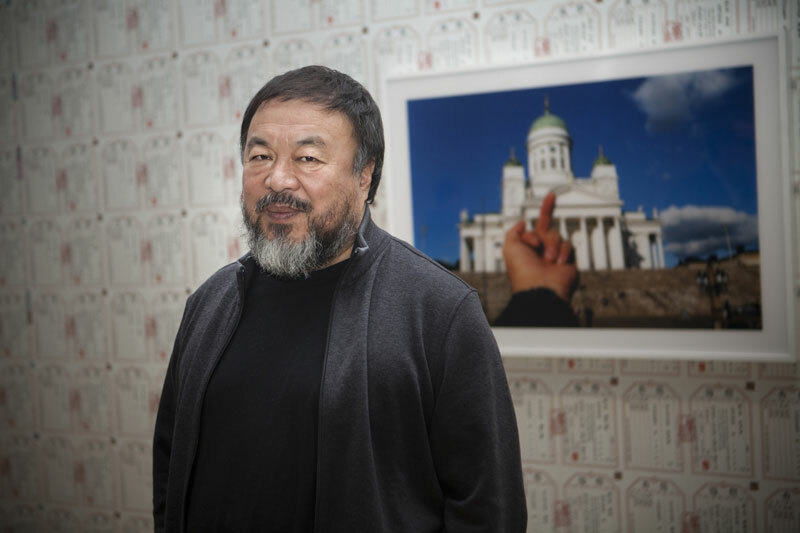 If the well-connected Ai Weiwei is at one end of the political spectrum, then the other was found inside Kiasma as part of Jani Leinonen’s ‘School of Disobedience’ (until 31 January 2016). At the media view, Leinonen had enlisted two Romany women to sit on the floor of the gallery. 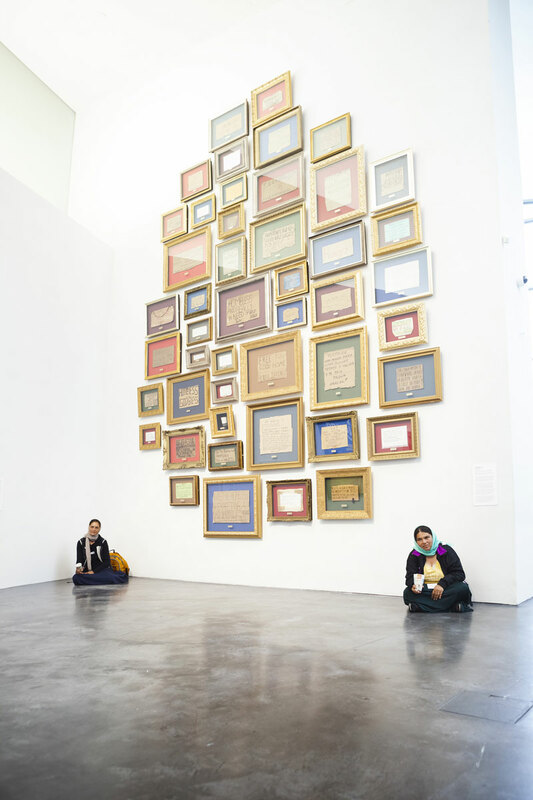 The pair sat beneath a work called Anything Helps (2009–15), a series of signs collected from homeless people across the world, gilt-framed and mounted on the wall. I’m told by a press officer at the museum that the two women, Lidia Curcanin and Garofita Marinin, were paid ‘something’ by Leinonen ‘for them to be like a living performance’. As in the UK, the Syrian refugee crisis is dominating public discussion. While some perceive a threat to security, others only want to reach out and help. Last time I was in Stockholm, a tailor complained to me that Finland never takes its ‘fair share’ of immigrants. This time, Juha Sipilä, Finland’s Prime Minister, has offered to host refugees in his home. But Romany refugees have long been a frequent sight outside Helsinki central station, and they are often ignored. Inside the gallery, it is impossible simply to walk past – or at least it is for me. I try to talk to them, but my lack of languages gets in the way. I can’t help but think of Christoph Büchel’s mosque for the Iceland pavilion at Venice this year. Judging by the rest of Kiasma’s retrospective, I’m not sure Leinonen has the same nuance of thought as Büchel. But I still can’t work out if this is a genuine act of openness or a cruel, exploitative stunt? Either way, I’ve never felt such an emotional punch in an art gallery. There is distaste at the reduction to spectacle of real human plight, but also a forced encounter with a very human reality – right there in front of your eyes. 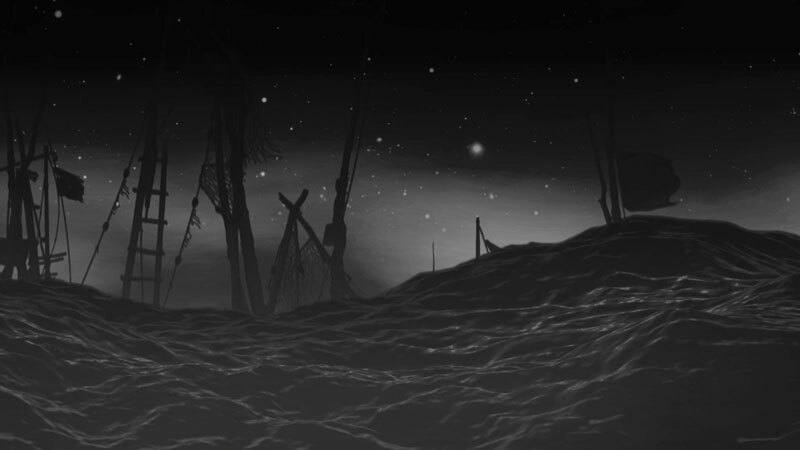 There is frustration, and sorrow, and a deep, visceral, shame. They are watching as you are watching. As with the refugee emergency, a question arises: what is your response? The Chinese dissident artist has made it to the UK. Is it time now to let his art do the talking?